Welcome to Mower World Helensvale's brand new site! Whether doing some light tidying up around your garden or property, sawing small logs for your wood fire, or working heavy timber in a park or forest as a contractor, we have a full range of saws from lightweight all-rounders to powerful workhorses which will get the job done quickly and comfortably. From arborist chainsaws through to sturdy homeowner saws and up to professional models you have a great choice. 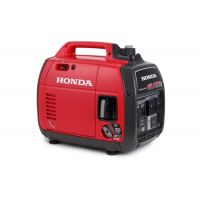 Overview: A light weight compact high powered chainsaw. Pruning, felling, lopping: Bushranger offers models with different specifications t..
Overview: A light weight compact high powered chainsaw. Pruning, felling, lopping: Bushranger offers models with different specificati..
Overview: STIHL's MS 170 MiniBoss chainsaw is an entry-level model for cutting firewood. It is easy to operate thanks to the combi-lever, a..
Overview: STIHL's MS 180 MiniBoss chainsaw is a light compact saw - highly suitable for tree pruning and cutting firewood. 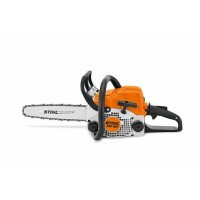 Good for felling..
Overview: STIHL's MS 181 MiniBoss chainsaw is a light and low-vibration chainsaw great for cutting firewood and felling small tre..
Overview: STIHL's MS 231 WoodBoss is great for the landowner cutting firewood. It features side-mounted chain tensioning for safe and..
Overview: STIHL's MS 311 FarmBoss is great for the landowner cutting firewood in medium-density stands. A redesigned model, the weight..
Overview: STIHL's new MSA 120 C battery chainsaw delivers a real-world cutting experience. Cutting up to 100 logs on a single charge* ..
Overview: STIHL's new MSA 160 C-BQ battery chainsaw is a very handy and low-noise chain saw for bigger cutting tasks with a powerful l..